The third generation of solar water treatment is ready. With the laws of Mother Nature, all dirt, any impurity and salt left behind when the sun shines on the water. 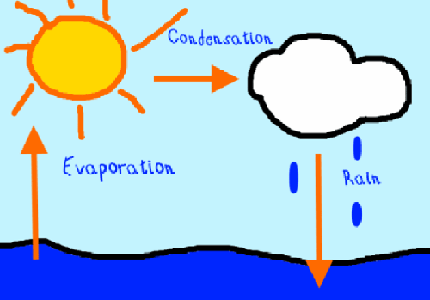 The sun lifts the water in the sky and from there it is raining back to Earth. Without dirt, salt, bacteria or viruses. Pure, clear and perfectly conditioned. (As long as it does not get dirty again while falling down). “Clara Pur” is a device like a solar panel, (one meter by one and one and half a meter). Clara Pur delivers 10 liters of water per sunny day. Covering an area of 20 x 20 meters each day, one cubic meter of clean water is produced (264 GPD), with 100 Clara Pur devices. Clara Pur is completely made from UV resistant Polymers (expanded polypropylene and polycarbonate) and corrosion-free. Clara Pur is patent pending and has compared to state of the art ones 15 new characteristics which are superior. With an investment in a technology that is as safe as the water cycle of "Mother Nature". No gimmick, a solid business with water. Pure solar energy for desalination opens up additional possibilities for development to the others than to already existing ones. With the moving away from fossil fuels and their environmental impact, including the CO2 debate, the future of solar energy is saved. Solar desalination is necessary especially regarding the increasing number of people who all need clean water. Dry areas have a lot of sunshine but often no clean water. The combination of sunshine and water desalination is brilliant. Once the improvements are implemented, we start do deliver Clara Pur devices. Customers are non-governmental organizations (NGO), governmental organizations (GO), private customers and later on distributed in the internet. If you are interested, we are happy to give you a quotation so you can decide on your own. For necessary detailed information please contact us. For any improvement or questions please don’t hesitate to contact us.